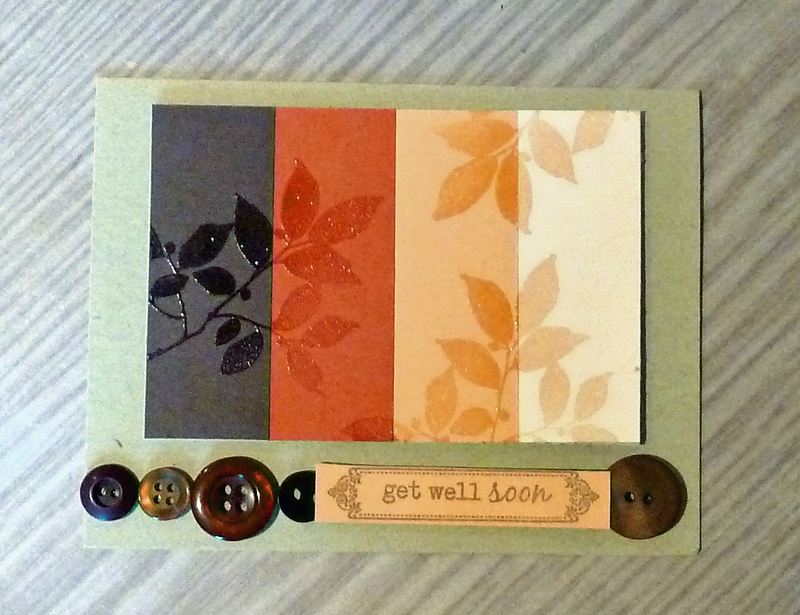 Popping in quickly to share a card I made for PTI Transformation Tuesday challenge. 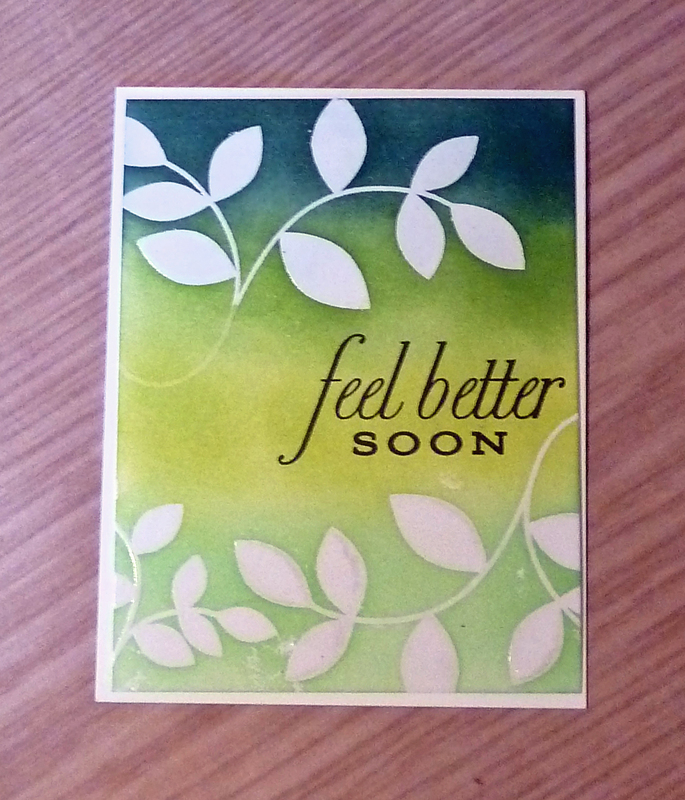 I picked this card which has been in my stash forever. 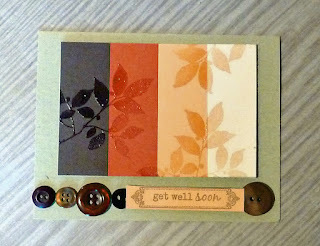 I think it may be the buttons, but I never reach for it when I am looking for a get well card, and neither has anyone else who regularly raids my card stash. 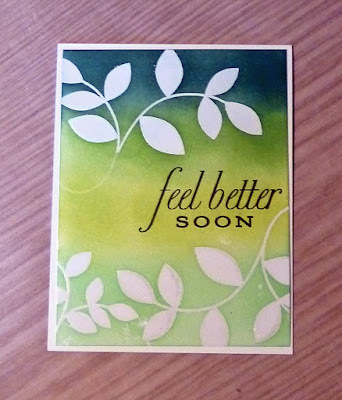 When I remade this card, I wanted to keep the get well theme, the stamp set (Turning a New Leaf), embossing technique, and an ombre color scheme. 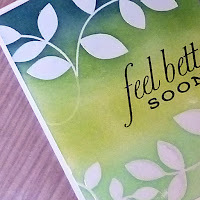 I clear embossed a different leaf stamp from Turning a New Leaf, and used an ombre of blended Distress Inks. 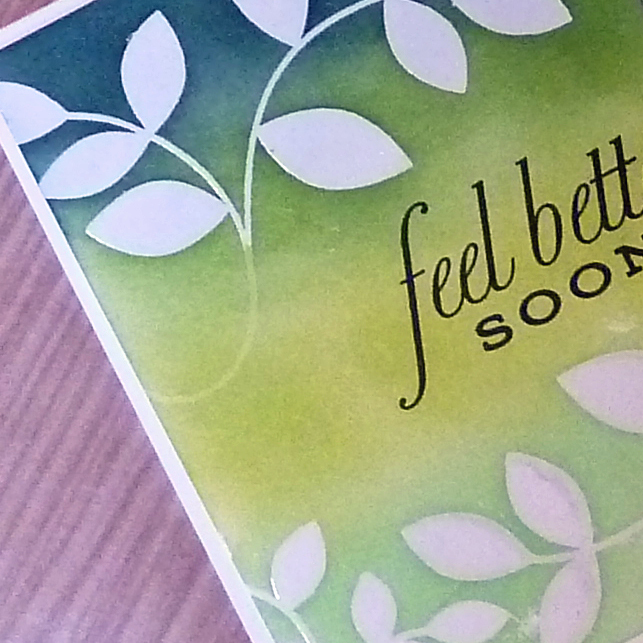 My get well sentiment is bolder and the card is flat and so much easier to mail. 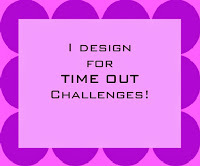 You certainly have an eye for design, Joyce! I love the colors, the brightness of the leaves, and the large sentiment! Wow...love your amazing card! Your choice of colors is so beautiful! SO lovely!! Your blended background is amazing! Awesome ink blending, Joyce! The contrast of darker tones on top with the lighter bottom portion is beautiful. This transformation looks more like your current style of crafting. What a beautiful transformation Joyce, I love your pretty ombre background, so lovely!